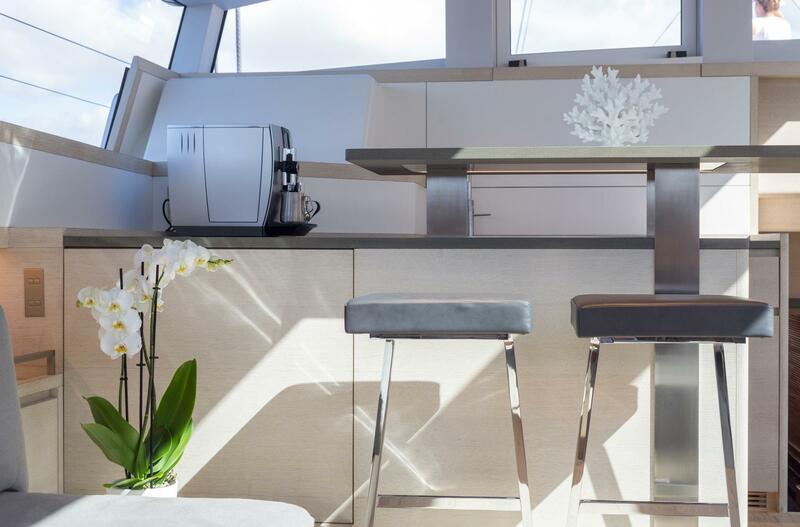 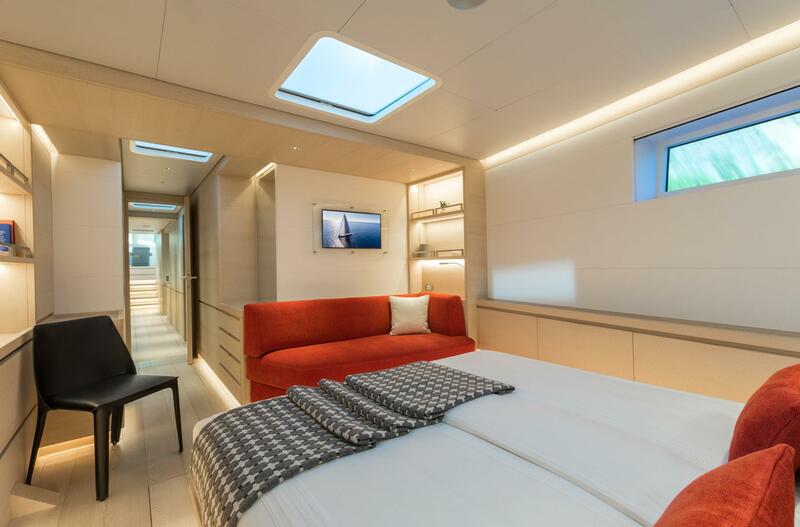 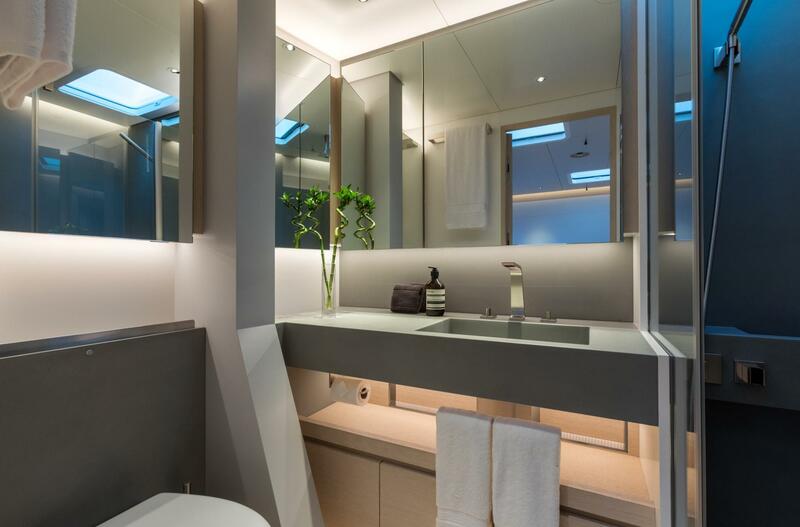 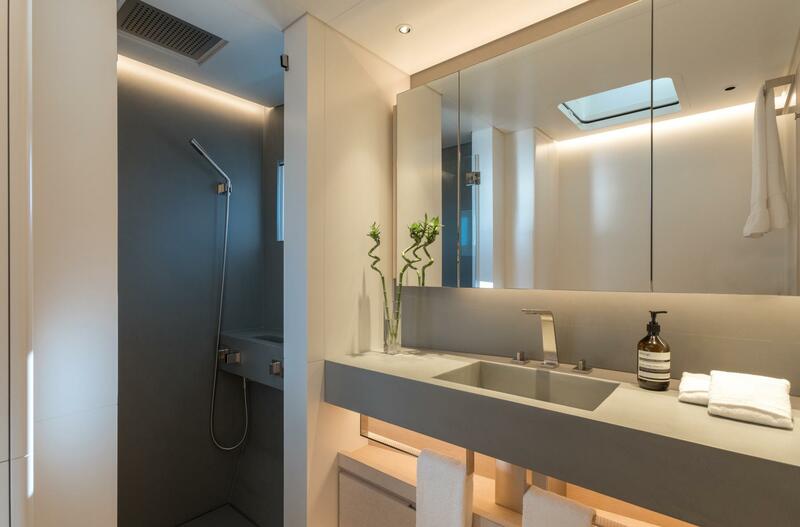 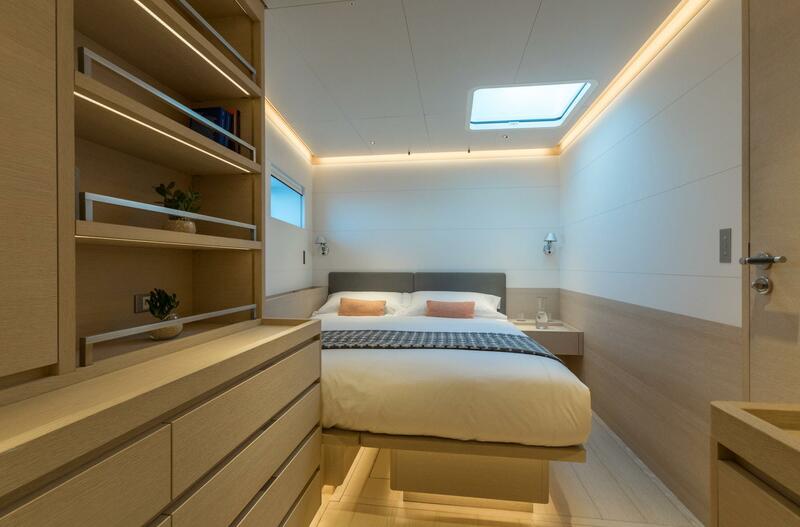 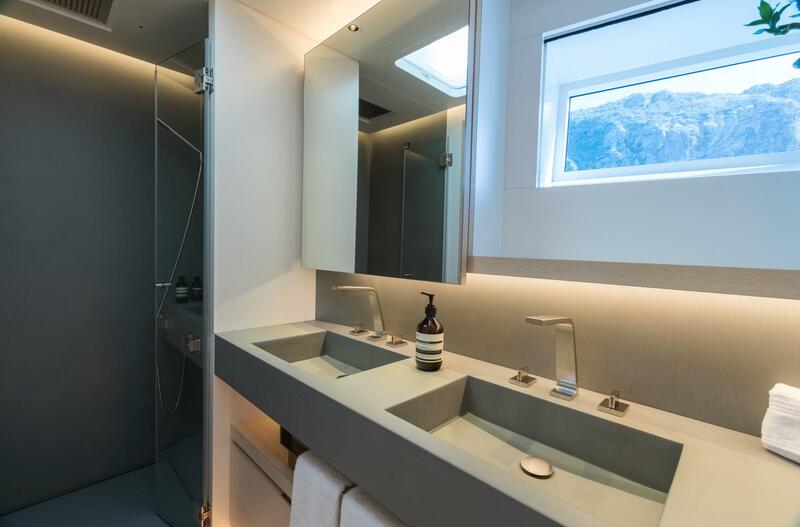 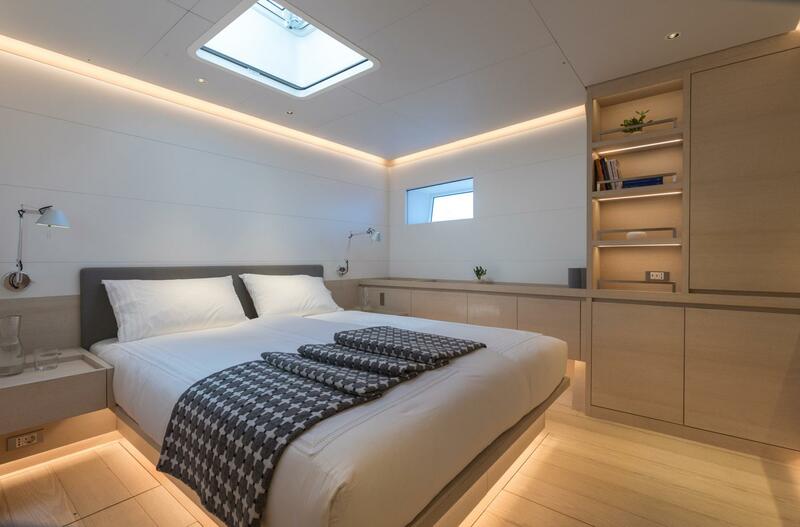 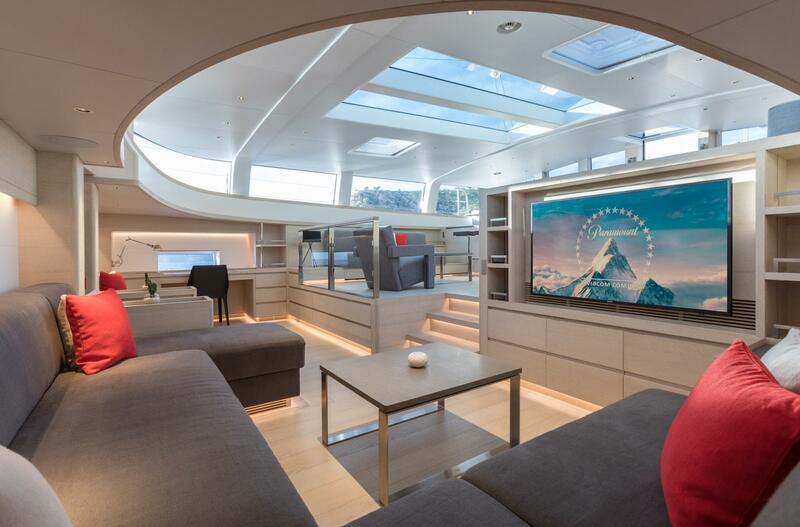 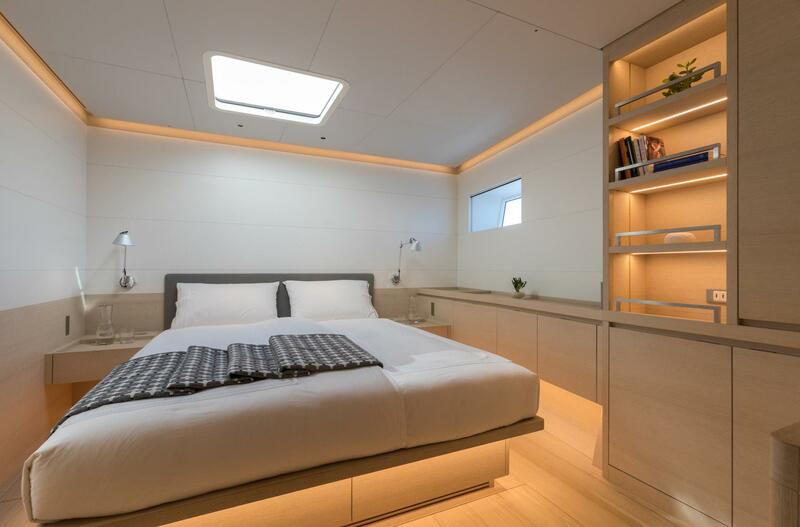 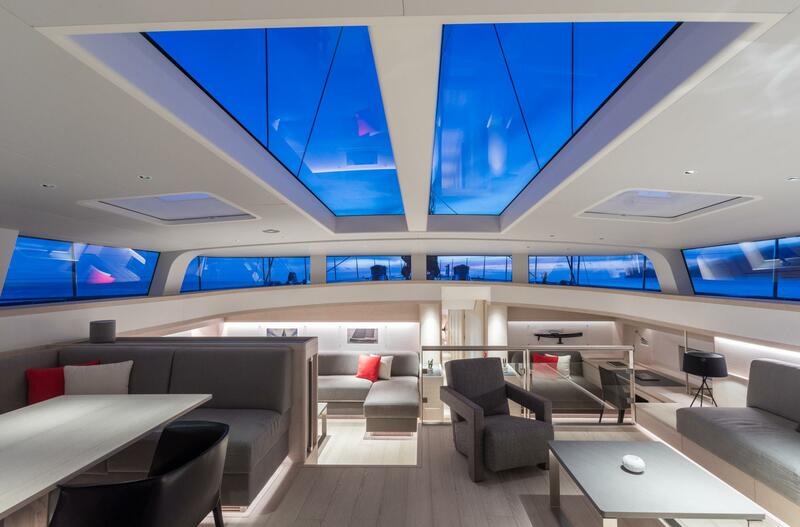 One of the main features of G2 is her pilothouse with a huge skylight that also provides the upper lounge with light, enhancing the stunning modern minimalist interior design by Nauta Yacht Design. 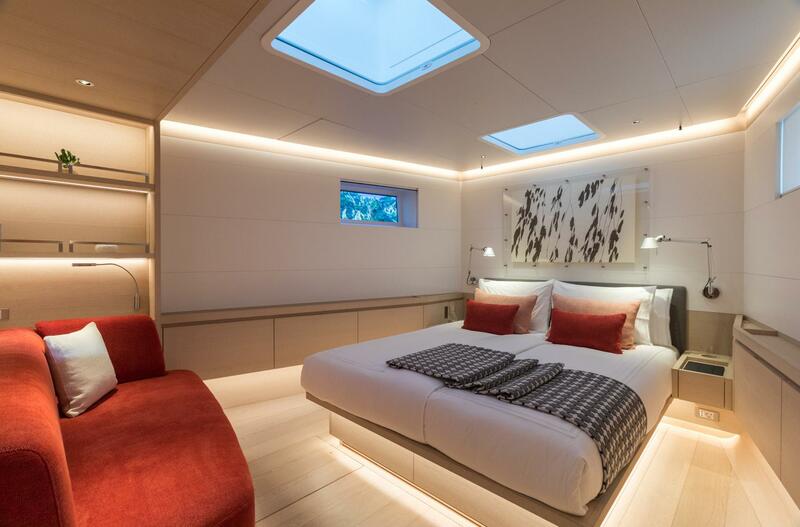 Her new interiors are by Nauta Design boasting a bright and airy atmosphere of pale woods and neutral fabrics. 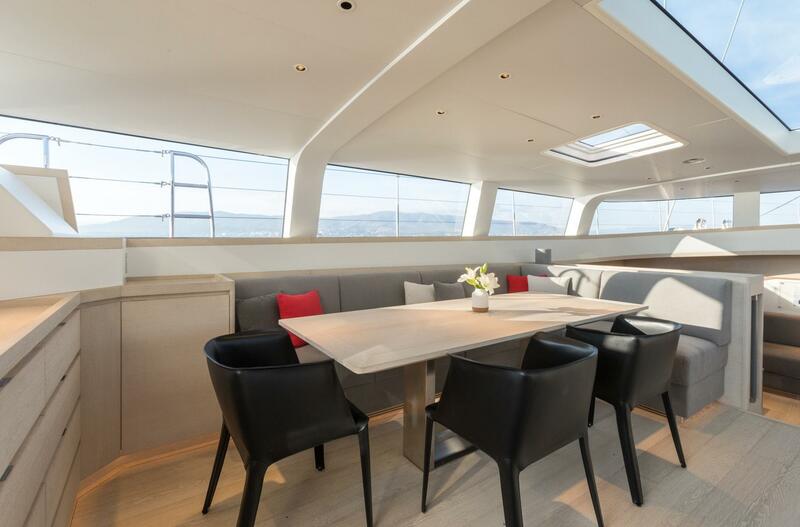 An upper salon offers seating and formal dining, while the lower salon has a lovely lounge and full entertainment systems. 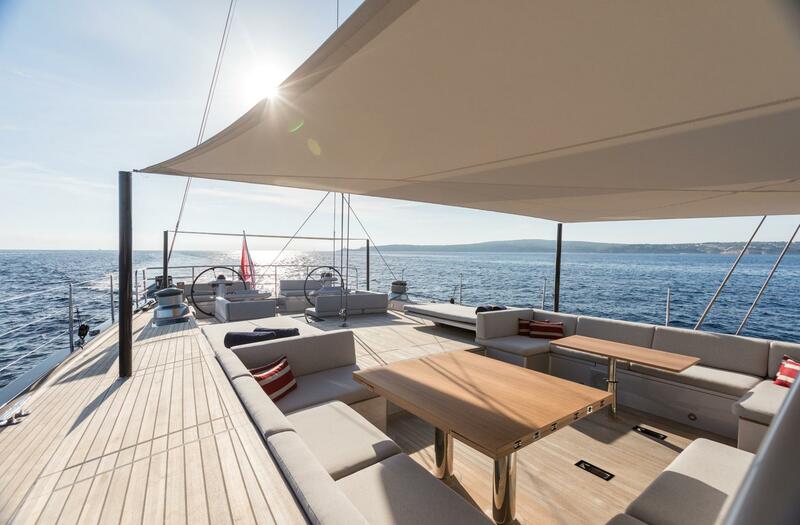 On deck she has ample areas to relax, completely laid to teak, it is an impressive space which was engineered by Tripp Design Naval Architecture during the refit. 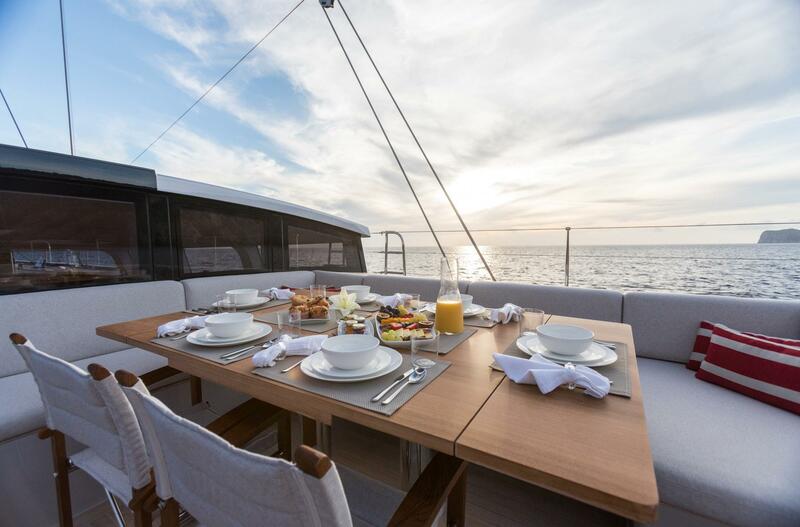 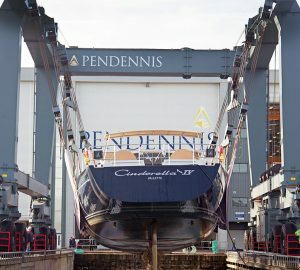 The aft area features a guest cockpit with alfresco dining, further aft is more seating, followed by the dual helm stations. 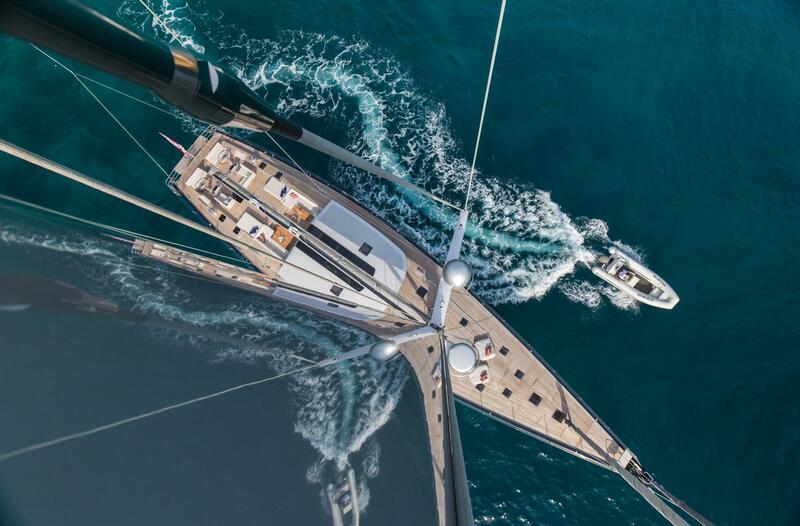 The yacht is a sloop rig, under power her 450hp MAN engine provides speeds of 10 - 16 knots. 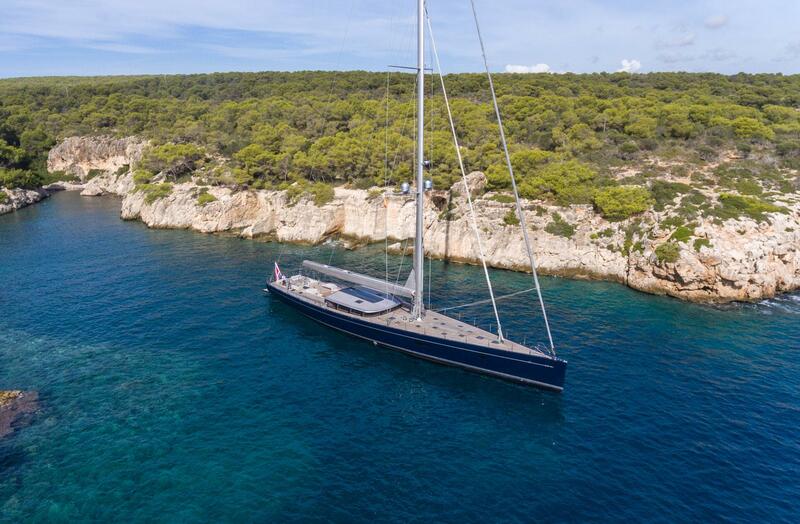 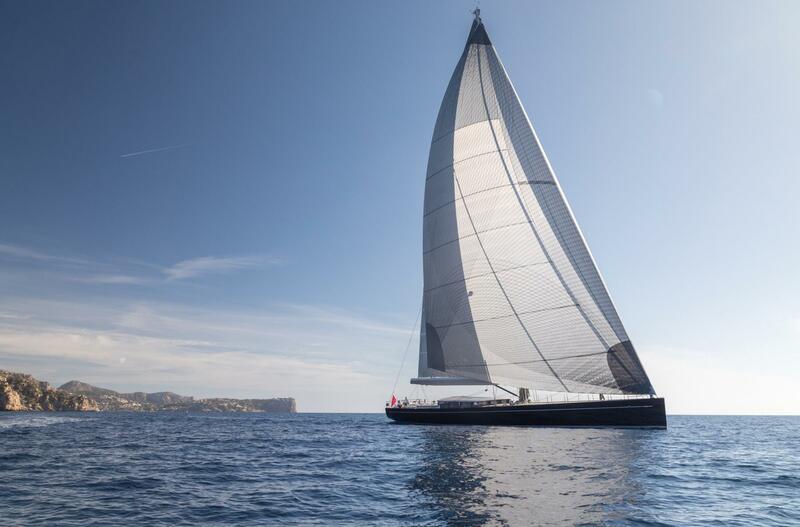 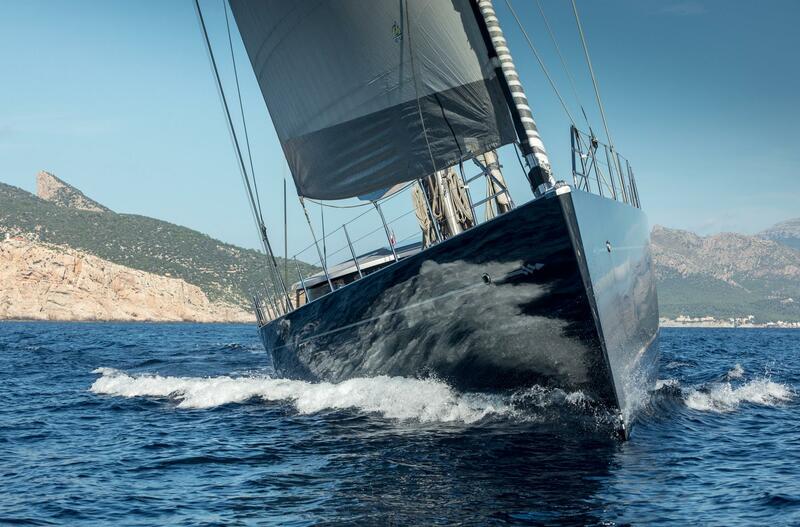 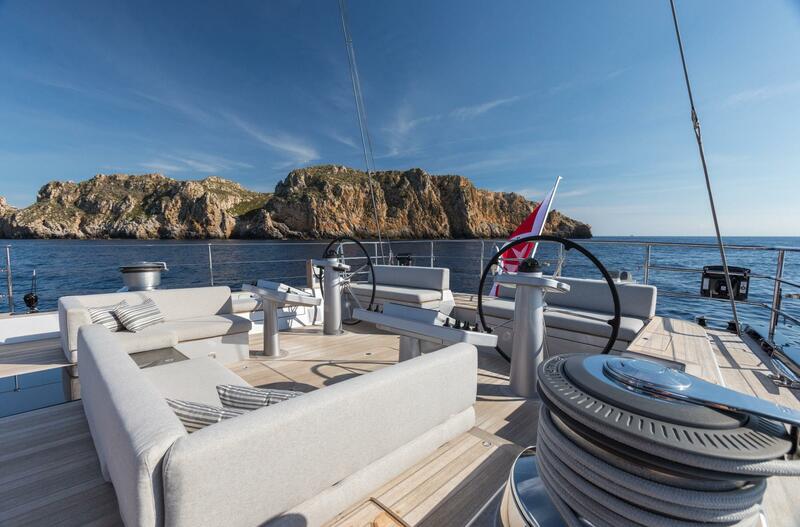 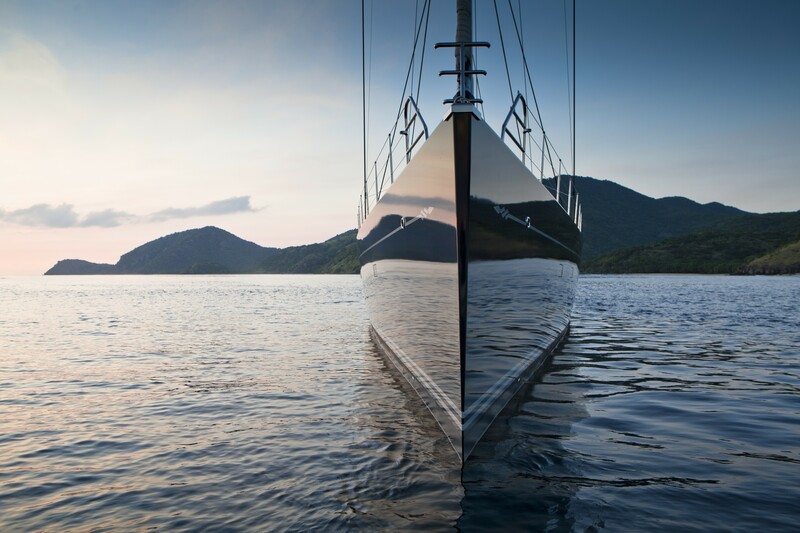 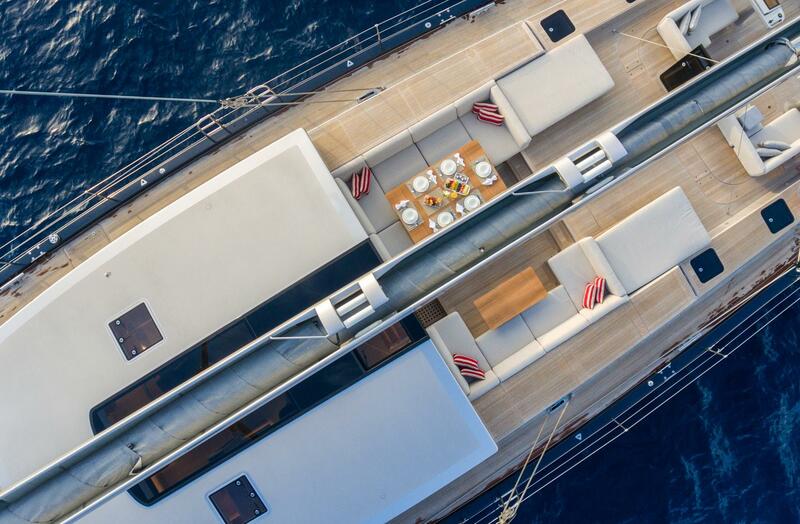 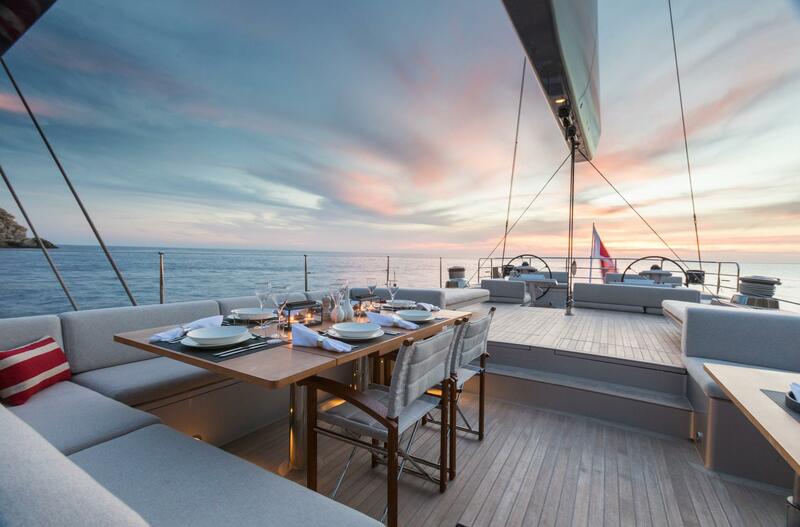 Sailing yacht G2 is a stunning example of a performance luxury vessel. 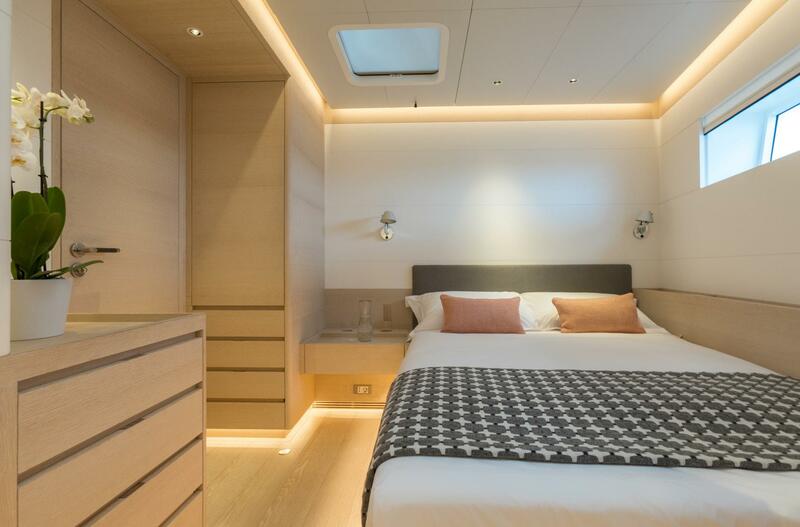 Accommodation is offered for up to eight charter guests over four modern cabins with deluxe amenities. 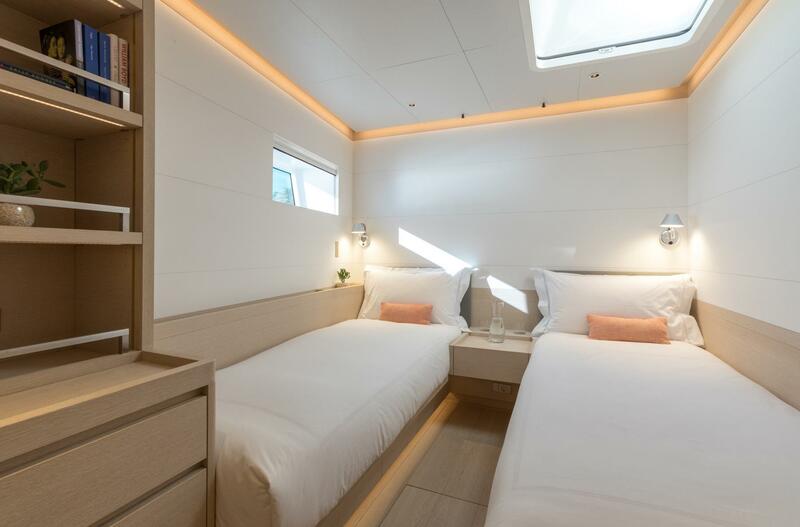 There are three double staterooms and one twin convertible to a King-sized bed.